INLEAD - Job Oriented Program | 100% Campus Placements | MBA and PGDM Programs: Are Indian Newspapers losing their charm? 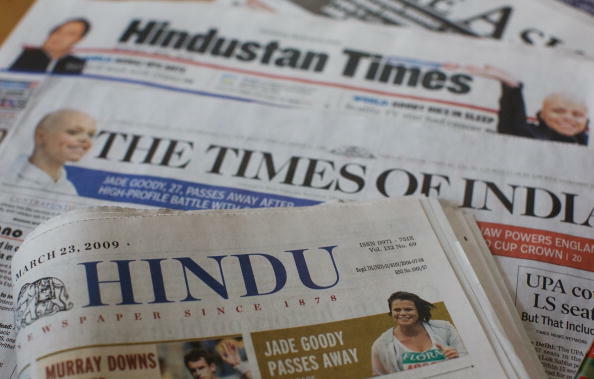 Are Indian Newspapers losing their charm? Reading newspapers or dailies, as we call them, has been considered to be one of the best habits humans have imbibed, ever since the learned civilization came into existence. From politics to sports, arts and lifestyle to entertainment, the power of news dailies is not unfathomed. My affair (sic) with newspapers started when I was barely eight. With every passing year, the bond seemed to get stronger and stronger. I didn’t know back then, that it would hit a rocky path twenty years down the line. The front page is the most important page of a newspaper. It is what passers-by will have chance to look at, and so it represents the showcase that might determine whether or not they will end up buying the newspaper. Many of us working professionals, thanks to our pacey routines, could possibly afford to read only the front page. Thus, the stories of the front page are carefully selected to catch the attention of a large number of potential readers. Everyday, newspaper editors meet and discuss to choose what they believe are the newsworthy stories of the day to constitute the next day’s front page. However, the scenario has changed today. Most of the Indian dailies have started featuring full-page advertisements on the front page, some even to an extent of the first three pages, especially during the festive season. Blame it on the fierce competition, or the race for fetching sponsorship, the so called “critical” front page and its news have shifted to the third or the fourth, thereby leading to distaste for avid readers like myself. What remains to be seen is whether these dailies continue to be caught up with their pro-commercial approach or shift back to preserving their original charm as a powerful instrument of the print media. What do you think? Do share your views and inputs in the comments.